How to use Samsung ATIV one 5 Monitor? 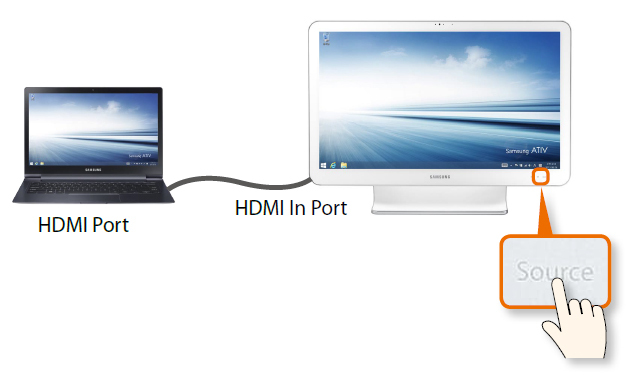 Please note: The LCD screen of the ATIV One 5 Style can be used as a monitor via the HDMI-In port. 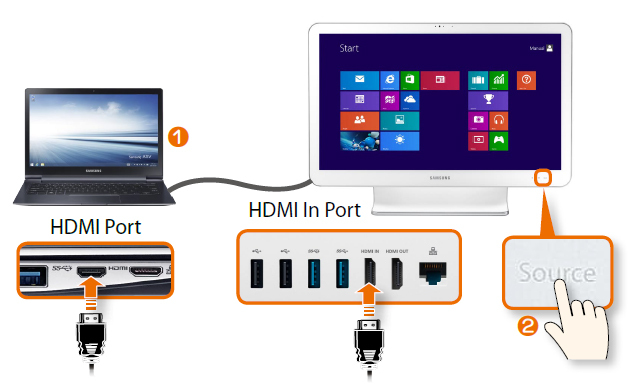 Connect the ATIV One 5 Style to other HDMI support device, such as game console, Blu-ray player, or another PC, via an HDMI cable to use it as monitor.